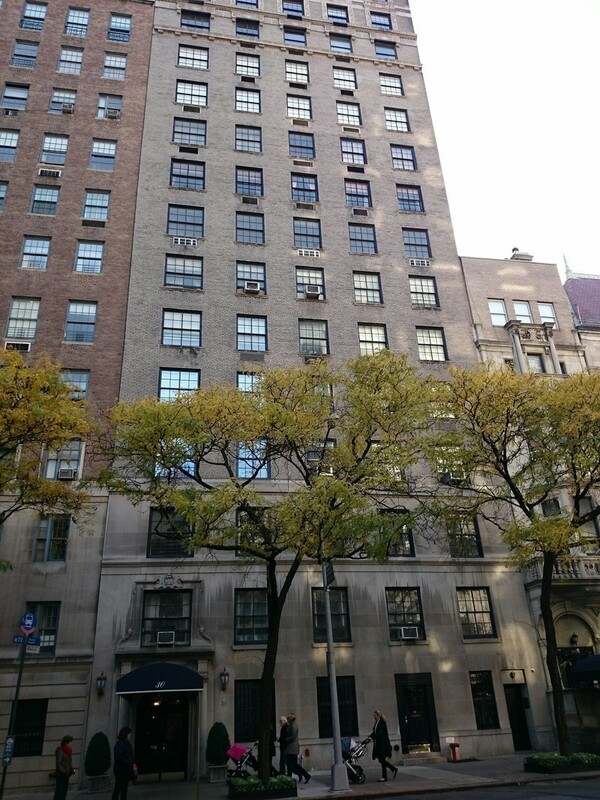 30 East 72nd Street is an intimate white glove Pre-War cooperative. Designed by the prominent architecture firm Schwartz & Gross, whose work shaped the face of the Upper East Side, the landmarked structure was completed in 1926. This attractive building is comprised of only 23 residences on 16 stories and is served by two elevators. The buildings Lenox Hill location between Madison and Park Avenues is only a block away from Central Park and near local restaurants and Madison Avenue boutiques. 30 East 72nd Street has very good access to bus transportation. The cooperative features white glove amenities including a full-time doorman, canopied entrance, fitness facility, live-in super, and private storage. Please complete Financial Statement and Itemized Schedules (enclosed), prepared by an Accountant, complete with complete statements supporting each asset claimed. Please upload the most recently filed past three (3) years signed Federal income tax returns, inclusive of all applicable schedules and W-2s. Please complete Tenant Data Verification Co. Credit Report Authorization Form (enclosed). Please upload four (4) Personal Reference Letters for each applicant. Please complete one (1) professional reference letter for each applicant. Please upload Landlord/Managing Agent Reference Letter for each applicant. Please upload Employment Verification Letter stating position, compensation and length of employment. If self-employed please provide a letter from your CPA speaking to current and anticipated annual income. Please complete Bed Bug Disclosure (enclosed). Please complete Gym Membership Registration Form (enclosed). Please complete Fire Safety Plan Acknowledgement (enclosed). Please complete Acceptance of Board Package (enclosed). 1) Please upload Loan Application. 2) Please upload Letter of Commitment. 3) Please upload three (3) Aztech Recognition Agreements signed by an officer of the lending institution and the applicant (copy of form enclosed). Please upload a letter from the shareholder explaining the Reason for the Sublease Request. Please upload Shareholders Lenders Consent to Sublease. If your apartment is financed, you must obtain your lenders written consent to sublet. If your apartment is not financed, you must provide a notarized letter signed by each shareholder stating that fact. 7. Tenant Data Verification Co. Please complete Lead Based Paint Disclosure (enclosed). Please complete Notification of Shareholders Legal Mailing Address (enclosed). Please complete Pet Registration Form (enclosed). Please upload Evidence of Renters Insurance. Please upload evidence that the unit has been inspected by the cooperatives engineer to ensure that it is in good repair and able to be occupied. The expense for the engineer will be charged- back to the Shareholders account. Further, if the engineer calls for any repairs or modifications to the apartment, such repairs or modifications must be made prior to (and paid for) any subtenant taking occupancy. Three (3) Aztech Recognition Agreements signed by an officer of the lending institution and the applicant (copy of form enclosed).